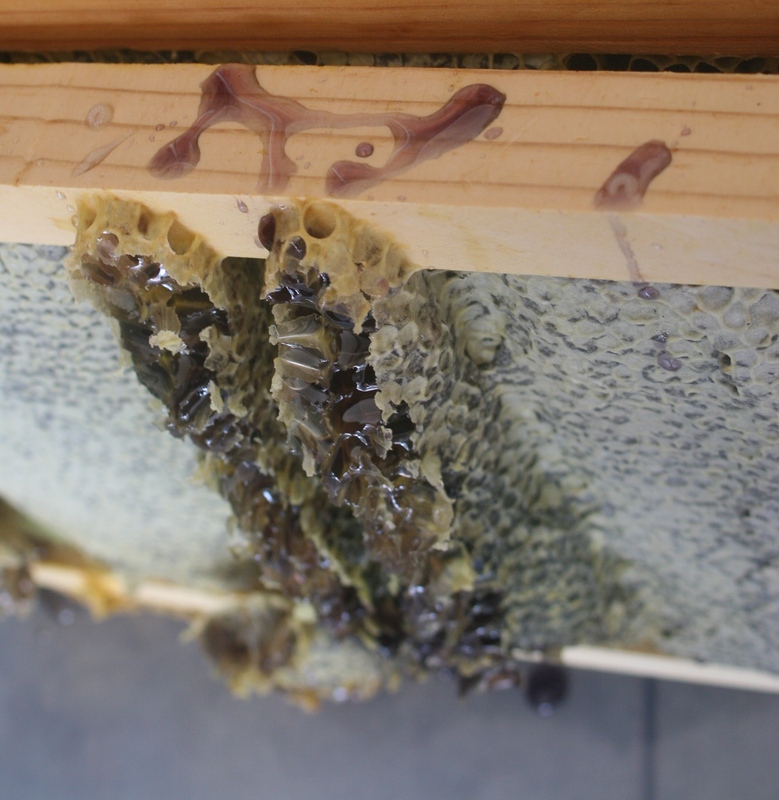 The illustrious Purple Honey has made a show-stopping appearance in our hives. We could not have been more shocked to find it there upon a small impromptu harvest yesterday and are still reeling from our discovery. Although Central North Carolina is the best known region for this rare occurrence, we had previously spoken to beekeepers that had been in the area over 30 years and had never seen purple honey in their hives; so we never really expected to find it in ours. 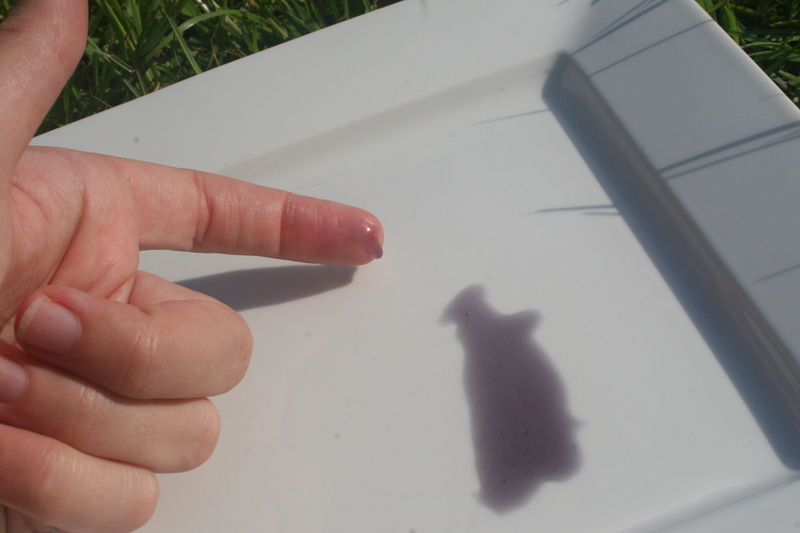 Interestingly, of the two side-by-side hives in our apiary, we only pulled purple honey from one of them. 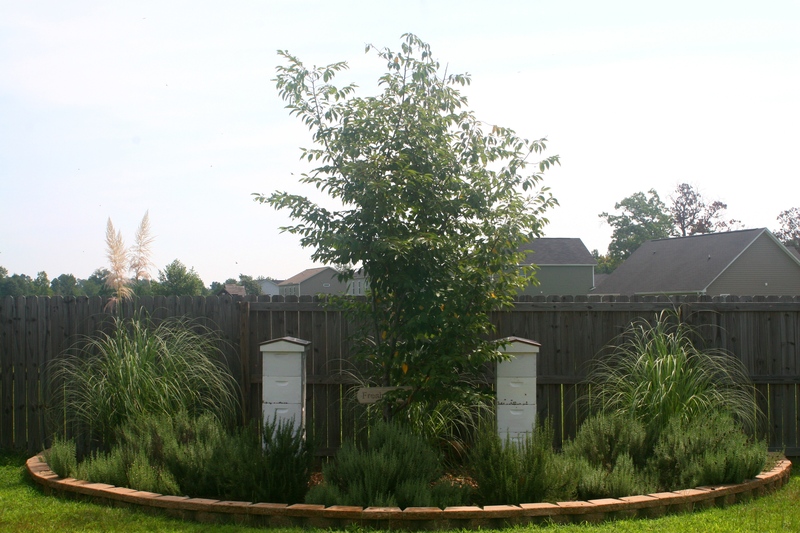 We had always assumed that the bees from both hives were likely foraging in the same areas. 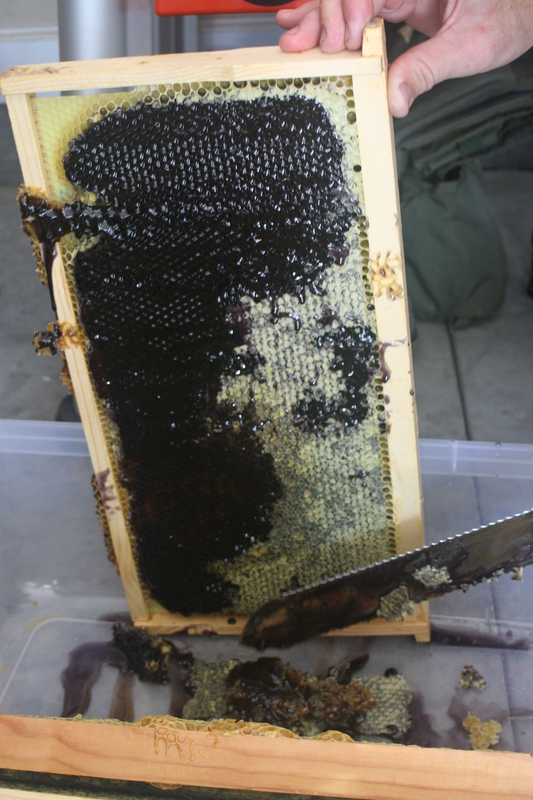 As only one hive produced purple honey, this is apparently not the case. 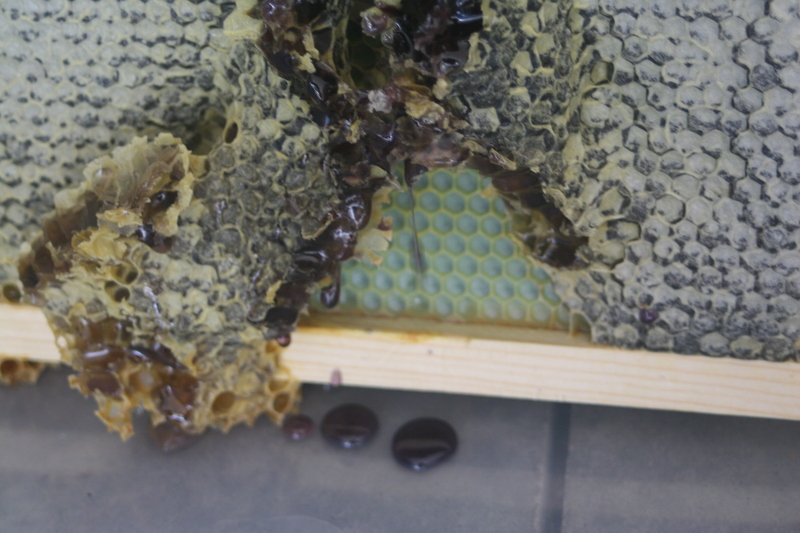 Even more interestingly, it is not clear where this purple honey comes from. There are three prominent theories, but it is still scientifically unknown. Let that just sink in for a moment. In 2014 we do not know how this rare but well-known occurrence happens. That is completely and utterly amazing. One theory is that the bees eat the fruit of blueberries, blackberries or elderberries, causing the purple color. To be clear, we both believe this to be the least likely cause of purple honey. First, bees occasionally, but very rarely consume the juice of fruit. It would be unlike that enough of them would do so to deeply tint several frames of honey. Secondly, those types of berries are few and far between in our hives’ foraging range and have wrapped up peek production well before the colored honey is found in the frame. Additionally, honey is produce from nectar. Although fruit juice is a similarly sugar-rich substance, it is not a direct substitute. Nectar is thicker than fruit juice, more similar to the viscosity of honey, whereas fruit juice is more similar to the viscosity of water. We also already know that the color of honey changes dependent on the source of nectar. For example, Orange Blossom Honey is very light and golden, where as Avocado Blossom Honey is dark with a greenish-brown hew. And finally, these berries are found throughout every zone in the US and most of the rest of the world. It would not make sense then that Purple Honey is predominantly found in only one region of North Carolina; albeit only rarely at that. 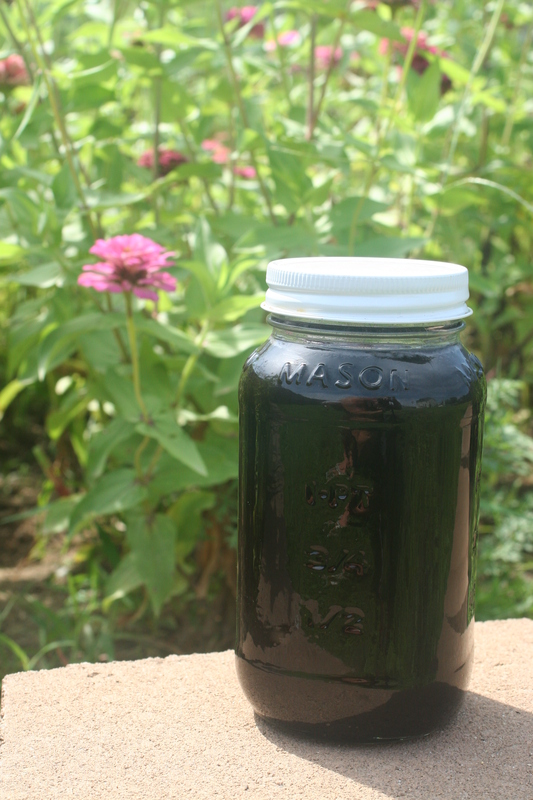 Another theory is that it comes from the nectar of a specific plant that grows in the forested areas of Central North Carolina. The argument is that it is a plant less-favored by bees and only foraged on dry years or when food is less plentiful. To that point, it has not been an unusually dry year in our region. I have heard mixed information as to what plant that may be, but Kudzu seems to be the most predominantly sited in the beekeeping community. This is certainly a possibility as Kudzu grows rampant throughout the Southern States, but I feel inclined to draw attention again to the wide growth range of Kudzu throughout the South, and the relatively small region that purple honey is found in. So although we can not explain our stunningly deep purple honey, we can tell you we’re lucky enough to have it for this fleeting moment. We can also tell you it’s delicious.